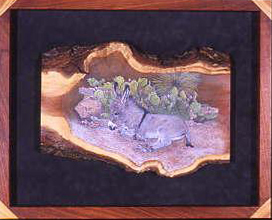 Whether it is a mesquite picture frame or a special mesquite frame for a unusual piece of art we will work with you to find the perfect frame style to meet your needs. Our Mesquite frames are carefully handcrafted using miter joints instead of nails or screws and can be created in a custom size just for you. We have several standard designs to choose from or we can create a special look or design style just for you. 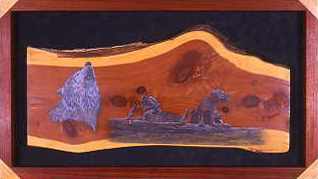 Uses our Mesquite Frames to showcase her beautiful work. 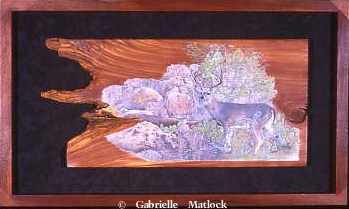 Click on her website: Gabrielle Matlock and go to the Originals page to see examples of our Mesquite Frame with Mesquite Corners and Mesquite Frame with Maple Corners.